Having a baby is challenging, but not always in the ways you’d expect. You’ll likely dread having to master the art of diaper changes, but purchasing a stroller for your little one can be just as daunting. Before you wade through the confusing world of strollers, take a look at our comparison of two popular strollers: the BOB Revolution SE and the Baby Jogger City Mini GT. Want the best prices on baby products you need? Sign up and we’ll send you an email when there’s a great deal on baby gear. NerdWallet takes you shopping: The BOB Revolution SE is a jogging stroller that retails for $459.99, although you can find it for less on Amazon. 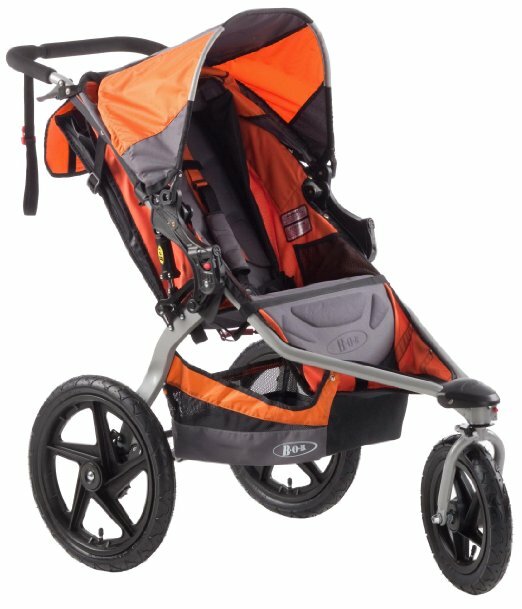 This stroller is a jogger, which means it’s specifically suited for use during exercise. It features a swiveling front wheel, an adjustable suspension system, a lightweight frame and a padded handlebar. There are plenty of safety features, too, including a five-point padded harness, parking brake and multi-position canopy for weather protection. The stroller weighs 25 pounds and can be folded in two easy steps. It can transform into a complete travel system (stroller and car seat all in one) with compatible BOB B-Safe infant car seats and a BOB infant car seat adapter. And if you need room for two passengers, consider the double version of this stroller, the Revolution SE Duallie. 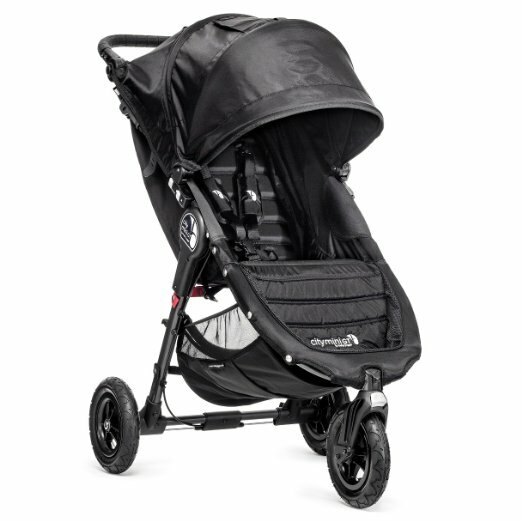 Good fit for: Joggers who are looking for an activity-oriented stroller with plenty of extras. This BOB model will allow you to strap in your baby and take him or her along for everything, including a morning workout or an afternoon stroll. NerdWallet takes you shopping: The City Mini GT is a $349.99 everyday stroller from Baby Jogger. You can find it for less on Amazon, as well. The City Mini GT has a comfortable reclining seat, an adjustable handlebar, a multi-position UV 50+ sun canopy and three all-terrain wheels. This Baby Jogger also features one-hand fold, auto-lock functionality and a hand-operated parking brake. Similar to the Revolution SE, the City Mini GT can be made into a complete travel system using compatible Baby Jogger car seat adapters and prams, which are sold separately. There are obvious differences between these two strollers, though. The City Mini GT weighs 20.9 pounds (the Revolution SE comes in at 25 pounds) and comes in a wider assortment of colors (five combinations compared to three). Perhaps the most marked difference is that while the City Mini GT can make its way across all sorts of surfaces, it’s not suited for jarring exercise, as the Revolution SE is. Good fit for: City dwellers looking for a lightweight stroller that can tackle everyday use across all types of surfaces. But while it’s perfect for busy parents on the go, don’t let the “Baby Jogger” name fool you: The City Mini GT is not intended for jogging. If you’re looking for an exercise-specific model, you may need to spend a little extra and consider the BOB Revolution SE instead.